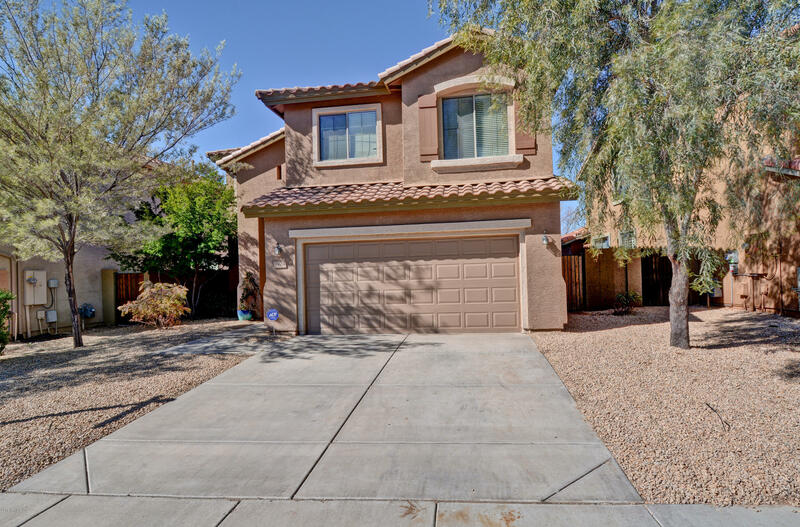 Must-see, move-in ready anthem home! Located just minutes away from a park and surrounded by gorgeous mountain views, this terrific property offers 4 bedrooms, 2. 5 baths, and no rear neighbors! The interior is warm and welcoming with a formal living/dining room and neutral tile throughout the first level. Spacious eat-in kitchen features oak cabinets, newer dishwasher, pantry and island for extra prep space. Fresh carpet in all the bedrooms and convenient upstairs laundry. A roomy master suite is complete with an ensuite bathroom and oversized walk-in closet. Outside you'll find a big backyard, perfect for relaxing and entertaining, with a covered patio and sparkling fenced-in pool! Much more to see - visit today and make this your new home! For more information or make an appointment to see property ID 5892091.